Our favorite role-playing pooch is at it again. Yes, the beloved social media dog star Doug the Pug recently dropped a Moana video tribute, and we just got our entire lives from watching it. Srsly, if someone surveyed a group of dogs about what Princess Moana would look like in real life, this celebrity canine’s fab impression is probably what they’d all have in mind. In a mere 39 seconds, Doug the Pug totally nails his take on Disney’s fearless Polynesian princess. As everyone knows, Doug is the GOAT when it comes to cosplaying. The precious pug has put his hilarious spin on everything from Beauty and the Beast to a food-themed cover of Mariah Carey’s “All I Want For Christmas is You,” which is a must-watch that is never out of season. Also, you know you’re talented AF when you have your own “best of” reel. Doug is werkin’ it y’all. In the video, he’s sporting the effortless fish hook necklace/grass skirt lewk along with a wind-blown wig that’s holding on for dear life (those island breezes don’t do fresh hairstyles *any* favors). And Doug’s #unbothered, over-the-shoulder glances into the camera are absolutely killing us, y’all. While morphing into both Moana and her demigod sidekick Maui, Doug looks *super* into the island ~vibes~, throwing his head back to soak up the sun and basically living it up on the beach as a superstar dog does. He even has a stuffed animal co-star to represent Moana’s pet pig Pua. 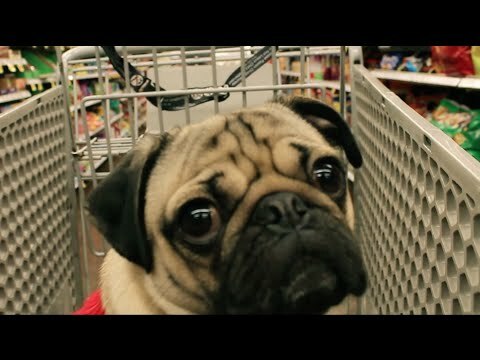 Not that anyone doubts this doggie’s exceptional talents, but here’s all the proof anyone needs that Disney movies are better with Doug the Pug.